Ukraine and Poland would set up a coordination council for 2012 Euro football tournament, Ukrainian President Viktor Yushchenko has said. Yushchenko held a meeting with his Polish counterpart Lech Kaczynski in Ukraine Monday to discuss the issues pertaining to the organization of Euro 2012. The Ukrainian president said that the council is to meet once in three months with the next meeting scheduled for September. Yushchenko also said that a draft of inter-governmental agreement in key issues of Euro 2012 organisation would be ready in two months. The agreement will relate to security and visa policy, the construction of border check points, joint operations of customs services, infrastructure projects related to roads and railways, as well as information and promotion policy. Prepared will be also a plan of acquiring support from the EU. 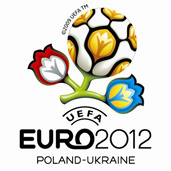 Poland and Ukraine were chosen to co-host the 2012 European soccer championship April 18. They will co-host the soccer tournament for the first time in history.